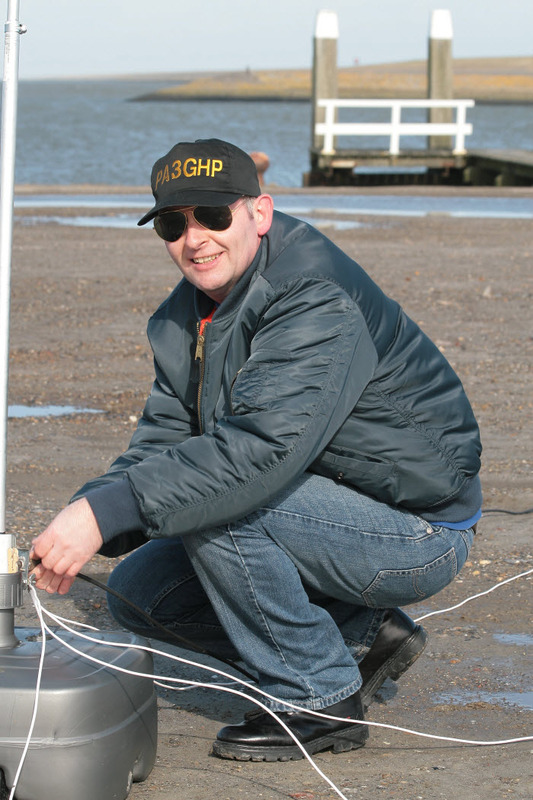 my name is Dirk, I was born in 1964 and my callsign nowadays is PA1BD. I got involved in radio in the early 1980’s and discovered DX a few years later on the 11 meters band like many of us I think. It was a great time working DX with QRP power and a homemade HB9CV 2 elements beam. In these years I was (and still I am) an SWL and became a member of VERON who assigned the listener number NL-10355 to me. I started to study for amateur radio license back in 1990 and succeeded in April 1991 for my C license (PE1OAV) which gave me access to the VHF and higher bands plus a special permit for 50 MHz. I’m not very intrested in VHF as my goal was HF, so I had to learn the morsecode to get my A license. In December 1992 I passed the morsecode test and received the callsign PA3GHP. Back in 1998, ham radio amateurs got the opportunity to obtain a vanity callsign. Therefore, I changed my callsign a couple of times in PA9KW, PA2C and recently since the 1st of August 2018 in PA1BD which will be my final callsign. The things I like most in ham radio is working DX, contesting, building antennas and Dxpeditioning. The modes I prefer are SSB and CW. I also like to experiment with vertical antennas near the seacoast. In 2010 I visited a friend of mine, VK5ZMM, in Adelaide South Australia. We came up with the plan to go on IOTA DXpedition and activate Kangaroo Island (OC-139) for a couple of days and so we did with my Australian callsign VK5AUQ. It was a great experience and we’ve learned a lot. Maybe in the future there will be an opportunity to go on DXpedition again, I hope so. I have also been a member of the PI4COM Contestgroup Oude Maas for several years and learned a lot from Ronald, PA3EWP, and Alex, PA1AW, about contesting. Now I’m working on my pretty small home station. I have built an antenna mast myself, but due to special circumstances the mast is still on the ground in the garden. Fortunately the future looks a bit better now and I can go on with building up my station. I just ordered a Hexbeam G3TXQ at Anthony’s, MW0JZE. I hope to put up mast and antenna in springtime. Hamradio is fun and I love it! Following the success of the 30EUDXF Award whilst celebrating the 30th anniversary of the EUropean DX Foundation in 2016 it is decided to issue the 32EUDXF Award. Platinum: 30 QSO’s with all activated “32EUDXF” stations.